If you are going to be traveling to Colorado Springs, CO in the near future, try staying in a fully furnished corporate rental. All properties listed below include all furnishings, linens, towels, bedding, housewares, parking, capped utilities, expanded basic cable, wireless high speed internet, and domestic long distance all for one great price. 2BD/2.5BA North Side Town Home with Elevator. This conveniently located town home, in the northeast area of town, showcases the charm of Tuscany with its arches and wrought iron and displays breath-taking views from two of its three stories. Your private elevator whisks you from the double garage to the upper levels in seconds, making it completely handicap accessible. Top of the line kitchen appliances, plush leather recliners, huge HD TV’s, a gas fireplace, covered veranda, and speedy internet, compliment this pristine two bedroom with office, 2 ½ bath, home away from home. Trails lead from the rear to adjoining open spaces for spectacular city and mountain vistas. To view more photos, maps, and information, please click here. 2BD/2.5BA D-20 Town Home with Inside Pool and Hot Tub. 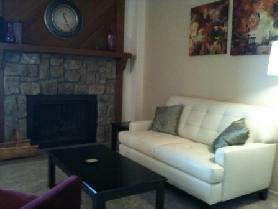 Wonderful town home with fireplace, King bed, attached full bath, and modern kitchen. Enjoy the LARGE indoor community pool, Hot tub and fitness center. Home has 2 private out door areas for you quiet enjoyment. Full family room in lower level with a second fireplace. This is a great home to stretch out and relax. To view more photos, maps, and information about this great town home, please click here. 2BD/2.5BA Spacious Town Home w/ 2-Car Garage. 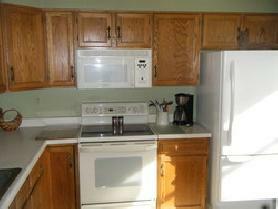 Newer 2 bedroom town home on the North east side of town in school district 49. This home has 2 large bedrooms with adjoining bath rooms and walk in closets. One bedroom has a king sized bed and the other one has a queen. There is a 52″ flat panel TV in the Living Room plus an open loft with a private office. 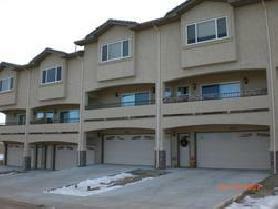 This town home has an attached 2 car garage. Enjoy the convenient location near the Hospital, Peterson AFB, Air Force Academy, shopping, and much more! To view more photos, maps, and information about this unit, please click here. 1BD/1BA Cozy Garden Level Condo w/ Views. Enjoy the convenient location of this north west 1 bedroom home. Contemporary decorations, inviting floor plan. Sit out on the lovely private patio and occasionally you will be able to watch the neighborhood deer. Included are the amenities of an outside pool & hot tub. Your Convenient parking is right in front of your patio space. Enjoy this great location. To view more photos, maps, and information, please click here. AvenueWest Colorado Springs offers exclusive, all-inclusive, fully furnished condos, lofts, town homes, and houses all over Colorado Springs. 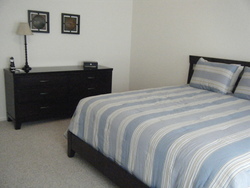 They also offer unfurnished rentals and can assist you in real-estate sales as well. To view all of our unique, fully furnished properties, please visit us at http://ColoradoSprings.AvenueWest.com or give us a call directly at 719-442-4337 and our leasing agent can find the perfect property just for you.